We love stalking music nerds. At Macworld/iWorld 2013 we found plenty of them. 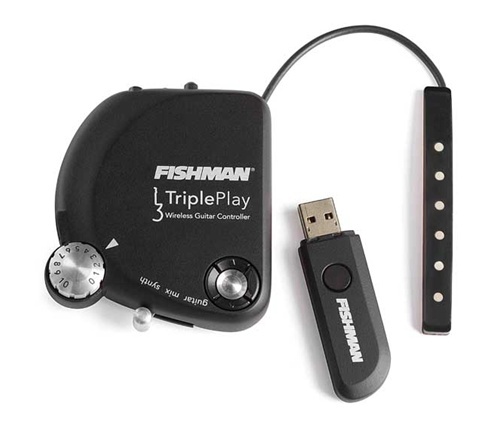 Larry Fishman and Fishman Transducers nerds have fulfilled a promise - to bring Guitar MIDI or Wireless Guitar Controller to the market called TriplePlay. We interview Larry on the development of the first successful MIDI guitar and discusses how he maintained a company for 32 years. "TriplePlay is a product that was a progression of a lot of things at Fishman for over seven or eight years"
"MIDI Guitar was a promise that was never fulfilled, released to public way too early, full of glitches, people would buy it and get disappointed, dealers getting stuck with inventory, not a pretty picture"
"soft synthesizers and virtual soft sounds have progressed...As we were starting to test the major sound libraries with TriplePlay, we started to get a lot of enthusiasm from the major players in the VST (Virtual Studio Technology) world...we were astonished how enthusiastic and how much they wanted to give us"
"I have a company full of great musicians and engineers that love to work and love to create"
Fishman TriplePlay is a product that professionals and beginners can take advantage of. Triple Play has been tested by jazz guitar legend John McLaughlin. TriplePlay can divide a guitar fretboard into four zones or four voices. Basically, you don't need a keyboard to compose a song. TriplePlay comes with a Wireless Controller, Hexaphonic Pickup, and Wireless USB Receiver. The Controller and included software works with major Digital Audio Workstations(DAWs) and virtual instruments and installs quickly on any electric guitar. 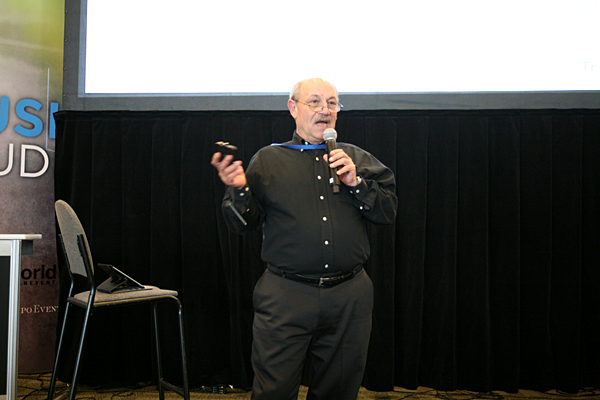 Larry Fishman has a lot of passion and Fishman engineers and partnership passion is what made TriplePlay. The partnerships brought this product to market and it should serve as a lesson that collaboration can make great products. TriplePlay makes guitar playing fun. The bundle of software libraries included in TriplePlay combined exceeds the price of a TriplePlay package. This system is worth its price. This is especially important as many of the best in class orchestral samples use key switching for performance based sample sets. Larry Fishman and his team have just given guitarists the biggest contribution to guitarists.. since Fender and Gibson gave us the Strat and Les Paul. This is positive REVOLUTION....FANTASTIC!